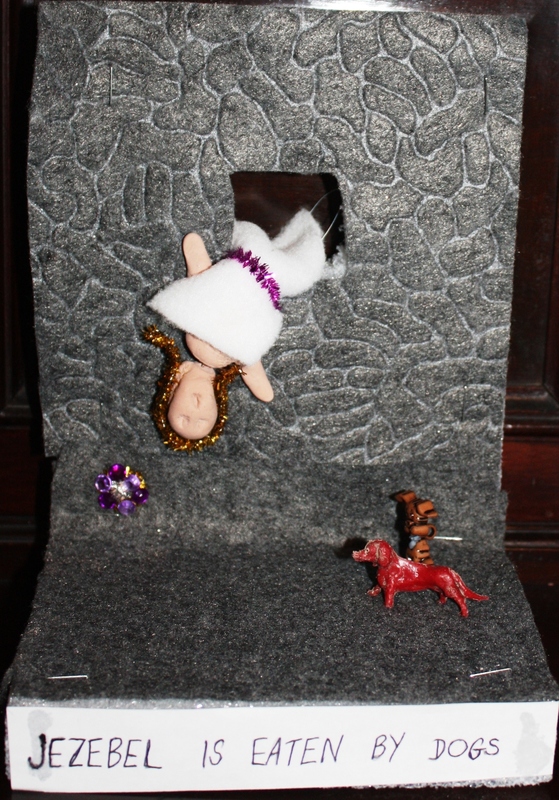 My Daughter's Christian Kitsch Art! I blogged earlier about the Christian "kitsch" art of a lady named Flo Boatright. A few months later, I think it was for Father's Day, my daughter made me very happy by crafting a similar piece of art for me. I couldn't be more pleased with it. Well, maybe I would be slightly more pleased if she had used more than two dogs. But I love it; it really captures the spirit of the work of Flo Boatright. And, thus, I am going to "pull rank" this Christmas, and demand that this be hung on our tree in a prominent location!